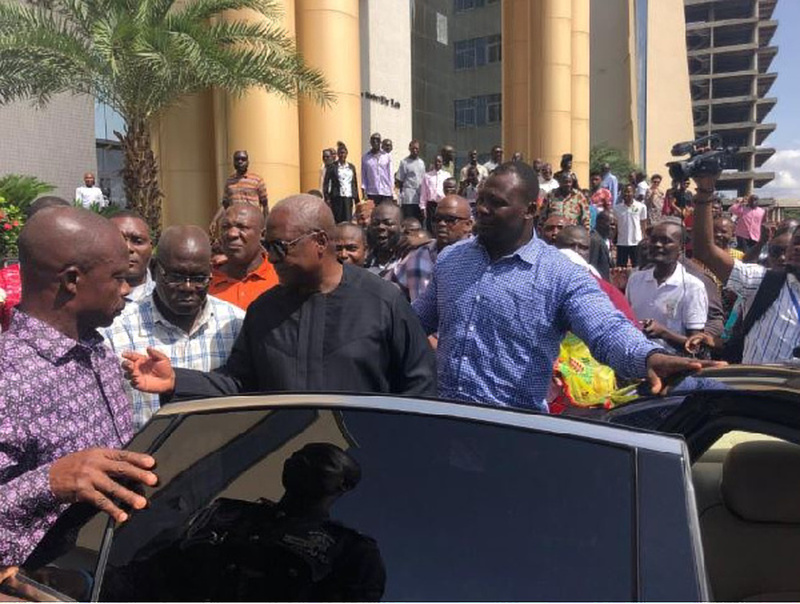 The Accra High Court has granted bail to Samuel Ofosu Ampofo and Anthony Kwaku Boahen, who are the respective Chairman and Deputy Communication Director of the opposition, National Democratic Congress (NDC). Ampofo and Boahen were each granted bail in the sum of Gh¢100,000 with one surety after they pleaded not guilty to charges of conspiracy to cause harm and assault on a public officer. The prosecution team was represented by Attorney General Gloria Akuffo and her Deputy Joseph Dindiok-Kpemka as against the defence counsels representing Mr. Ofosu Ampofo; Tony Lithur and Dominic Ayine. Mr. Boahen on the other hand had Dr. Basit Aziz, Edudzi Tamakloe and Baba Jamal representing him. The NDC Chairman has come in for strong criticism after an audio in which he was allegedly inciting violence leaked. On the tape, the NDC Chairman allegedly urged the party’s communicators to target the Chairperson of the Electoral Commission, Jean Mensa. He is also heard allegedly inciting them to insult the Chairman of the National Peace Council, Rev. Emmanuel Asante.